At PCWorld, and especially at PCWorld.com Downloads, we love trying out software. October's breakout stars were utilities: Everything from video file conversion to software updates to running Android apps on a PC. We'd be happy to see productivity-enhancing programs like this any month of the year. To see all these downloads in one unranked chart, check out PCWorld Reviewers' Favorite Files: October 2011. 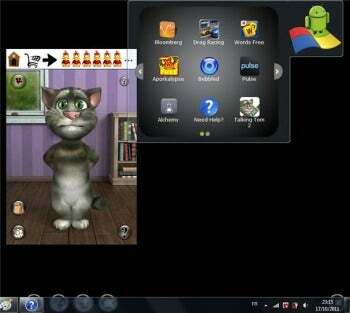 BlueStacks App Player runs Android applications within Windows. You don't have to have your Android phone charged--or even have an Android phone at all--to use Android games and other apps. BlueStacks App Player (free alpha version) comes http://cms.pcworld.com/cms/article/edit.dowith several popular Android apps. Other utilities don't so much do something new as make what you have work better. Update utilities make sure your software is up-to-date, minimizing security holes. We tried three different ones, but Raxco Software's PerfectUpdater ($30, free demo) delivered the best mix of accurate updates and interface usability. The latest addition to the Freemake family of free software, Freemake Audio Converter, is easy to use and easy on the eye. With its wide array of supported audio files, it may replace fre:ac (formerly BonkEnc) on many a system. When we think "wiki," most of us think of Wikipedia and similar sites for sharing information. If you need to organize your own encyclopedic knowledge, personal wiki ConnectedText ($40, 30-day free trial) is a good solution. Now in version 5, this stable tool helps you file, organize, and find vast amounts of information. If you need to track your communications with others, Webyog's free CloudMagic can help, unleashing lightning-fast searches on Gmail, Google Calendar, Google Docs, and Twitter. It doesn't work on Microsoft Outlook, but you can lessen the strain of Outlook overload with add-in Mail Alert ($7, 30-day free trial), which spares you continual checking. SocialShield's interfaces helps parents home in on worrisome social network behavior--without reading every Tweet or post. Sometimes it's not our own communications, but someone else's, that cause concern. 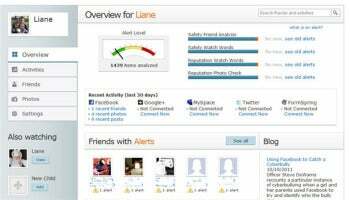 To keep tabs on troubling trends on a child's social network, consider SocialShield ($10/month or $98/year). Rather than making you watch your offspring's every online move, it alerts you to only what you designate as worrisome. It monitors Facebook, Formspring, Google+, and Twitter. With its easy-to-understand dashboard, the hardest thing about using SocialShield is getting your kid's passwords. This is not covert surveillance software. If you need a personal Web page--but don't want to learn HTML, CSS, and the rest--Flavors.me ($20/year; free plan available) provides a simple and economical way to get started. Attractive templates and a shallow learning curve make Flavors.me a good way to improve your Web presence. Even though productivity ruled the month, reviewers and readers alike enjoyed safe little scares. The restful blues and amusingly cute shark of Howard Kay's Razor Sharp wallpaper won't drive anybody out of your office. We can't say the same the pumpkin-pated undead in Sinister Visions' Zombo-O-Lanterns. If you're haunted by regret at missing the rest of PCWorld's annual collection of Halloween desktop decorations and Halloween-appropriate fonts, it's never too early to bookmark them for next year.